Strictly speaking this is not a true Rumaniacs rhum, since I got it through separate channels and it’s a mini-bottle insufficient to allow me to share it to everyone…so, sorry mes amis. Still, it’s one of these delightful mystery rhums about which just about nothing turns up on a search, except an old French eBay listing which suggests this is a French West Indian rhum from 1953 (unconfirmed, but how cool is that year, right?) bottled at 44% ABV, so in that sense it conforms to all the reasons the ‘Maniacs exist in the first place – an old, out of production, heritage rhum, a blast from the past which only exists in memories and old internet pages (and now this one)…. 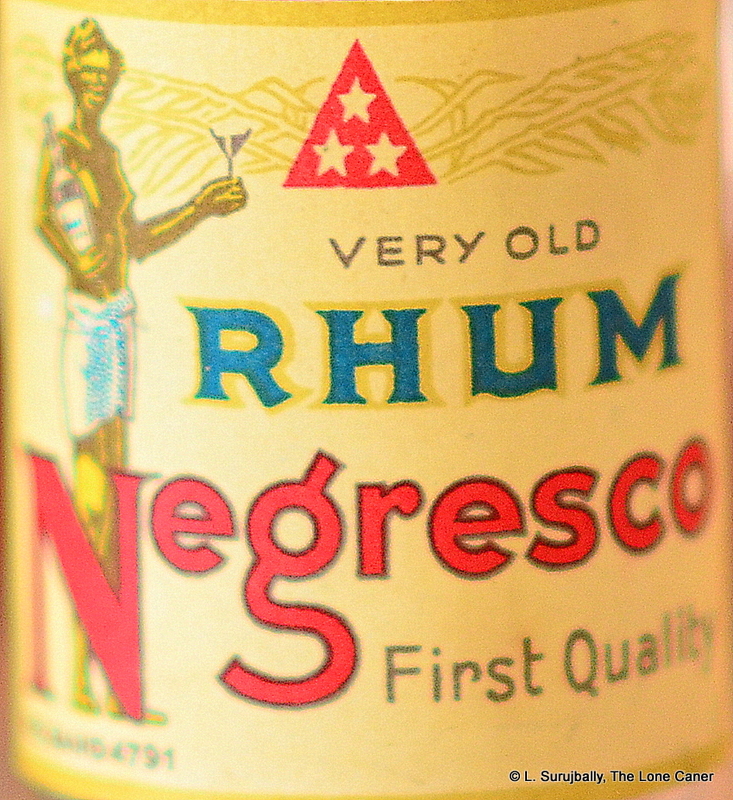 Trawling around suggests that “Negresco” was not an uncommon label, used rather more commonly, it would seem, for Martinique rhums; there are references with that title from several bottlers, including Bruggeman out of Belgium, and my little sampler has “R.C Gand” as the company of make – about which there is exactly zero info – so unless a Constant Reader can contribute a nugget of information, we’ll have to be content with that. Palate – Not bad at all, perhaps because it displays no single island’s characteristics, making it something of a Caribbean rhum, maybe a blend (which I suspected was the case anyway); oddly, though labelled as a “rhum” it has faint hints of anise and deep woody and fruity flavour points in the direction of some Guianese components. With water there are plums, anise, prunes raisins and a salty bite of tequila, coffee, caramel and soya. I’m convinced the strength is around 50-55%, by the way, though the bottle doesn’t mention it. (Note that I saw a very similar label on rum.cz — a rum label collector in Czecheslovakia — which suggests it is actually 54%, and that makes sense). Finish – Medium long, warm, coffee, licorice and caramel, very pleasant and easy going. Thoughts – Quite liked this one, wish I could have had a bottle to take a real long pull at it and take it apart some more. It’s certainly a decent rhum from Ago, which, if one were to ever find it again, and at a reasonable price, is worth getting. 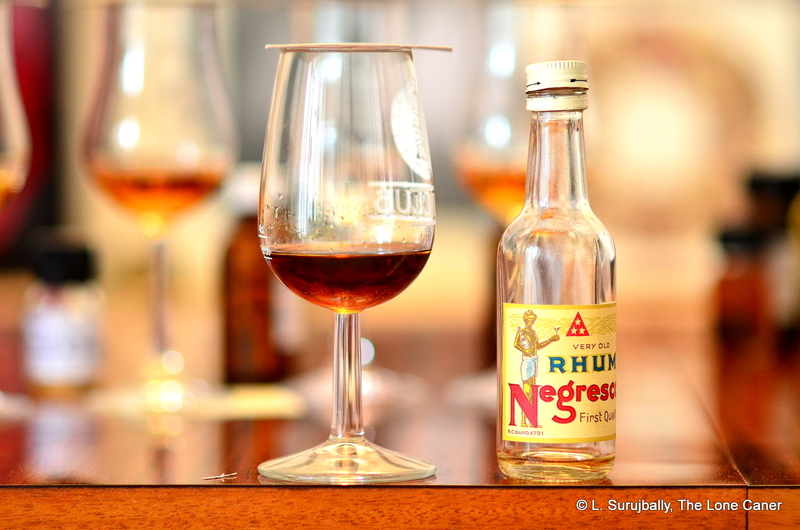 No other Rumaniacs have sampled this rhum, so no links this time. Many thanks to Etienne, who sent this to me.